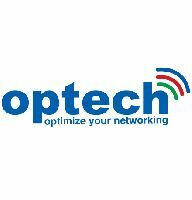 Optech is a leading company in developing and manufacturing advanced data center inter-connect solutions and optical Metro Solutions for the Telecom Market, HPC, Data center, ISP, Cloud, Military, Enterprise, and SME. Since 2001, Optech always aims accurate lead time and best service with high quality products to customers. Today, Optech offer customers a broad range of networking and communication solutions in following categories: Optical Transceivers, 100G CFP4, 100G QSFP28, 25G SFP28, 40G QSFP, 10G SFP+ and full range of DAC and AOC Cables and Optical Patch cords.